Mercury has announced multiple new Pro XS outboards – V-8 4.6L engines in 200, 225, 250 and 300hp, along with an all-new V-6 3.4L 175hp model. The new 200-300hp Pro XS models are built on Mercury’s new V-8 engine platform and boast a 4.6L powerhead that delivers phenomenal torque while weighing just 229kg. During testing, the 250hp Pro XS outpaced the leading competitor by 20% for 0-32km/h acceleration under heavy load while also delivering up to 16% better fuel economy at cruise. The 200-300hp Pro XS models also feature a robust 3.2cm diameter prop shaft and are available with a next-gen Torque Master gearcase that offers a 1.75:1 gear ratio and low-water pickups on the nose-cone for added mounting and trimming flexibility. These engines are smooth and quiet at cruise. 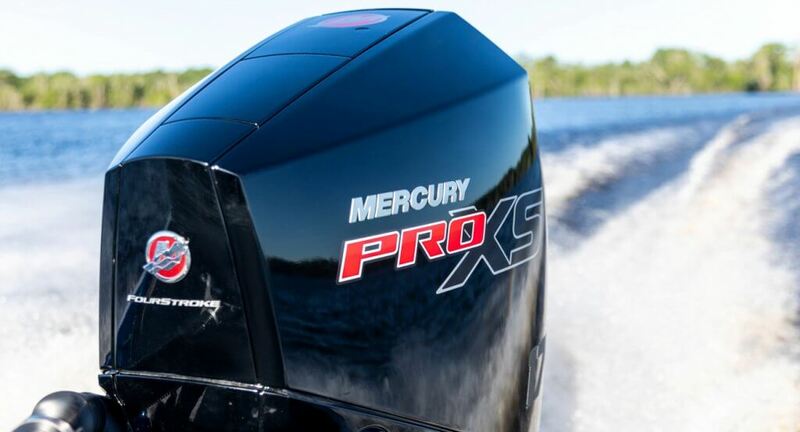 The new 175hp Pro XS model is built on Mercury’s new award-winning 3.4L V-6 platform. This large displacement engine delivers higher maximum RPM at full throttle, while providing superior fuel economy and weighing just 213kg for the 175hp.